It’s been a long time coming, but Declan Rice finally has that long awaited and slightly controversial England call-up. 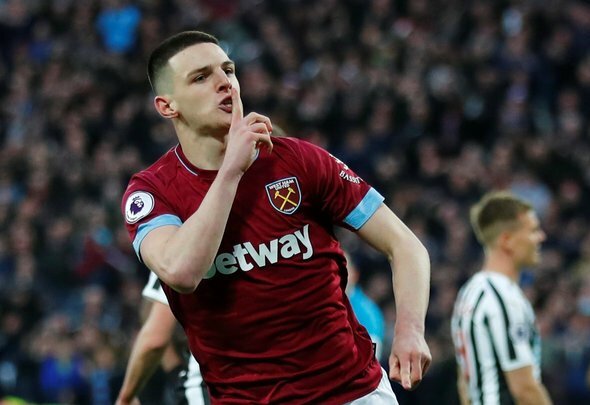 Ever since he broke out at the start of this season and established himself as one of West Ham’s main men, the 20-year-old has been hotly topped for a nod from the Three Lions. When he then chose to represent England over the Republic of Ireland, it seemed like an inevitability that he would be given the call by Gareth Southgate for the upcoming Euro 2020 qualifiers with the Czech Republic and Montenegro, and that has proven to be the case. Yesterday, Rice joined up with his new squad mates, and the video of him arriving at St. George’s Park has got West Ham fans drooling. The youngster has everything needed to become a real player for the national side, but it will be interesting to see whether or not Southgate chooses to throw him in at the deep end or whether the will keep faith with the players who served him so well in Russia last summer. You would be surprised if the manager did start Rice in both matches, but equally it seems inevitable that he will make his England debut in the immediate future. Without doubt the potential to have a very established England career .. one of the best young talents around, congratulations Declan, make it happen !